License Optimizer Optimize your software licenses—reclaim unused licenses, stay compliant, anticipate true-ups, and curb IT overspend. Get a revealing look at License Optimizer to see the what, where, and how of your IT assets. Find out how much you could save in just 3 easy steps. Don’t wait to get audited. Prepare now with this 10-step plan. 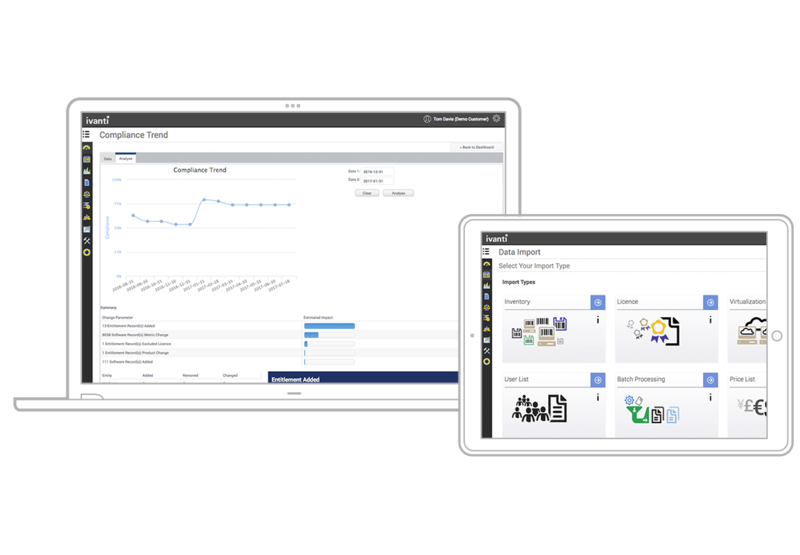 Ivanti License Optimizer discovers what software exists in your environment, tracks usage, and identifies areas where your IT assets can work harder for you. You can reclaim unused licenses and reallocate software to maximize the performance and value of your software. Now you can gather the insight you need to minimize cost, mitigate risk of audits, and support transformation initiatives across all IT environments. It gives me more confidence in our overall numbers, putting me in a better position to negotiate our licensing agreements. 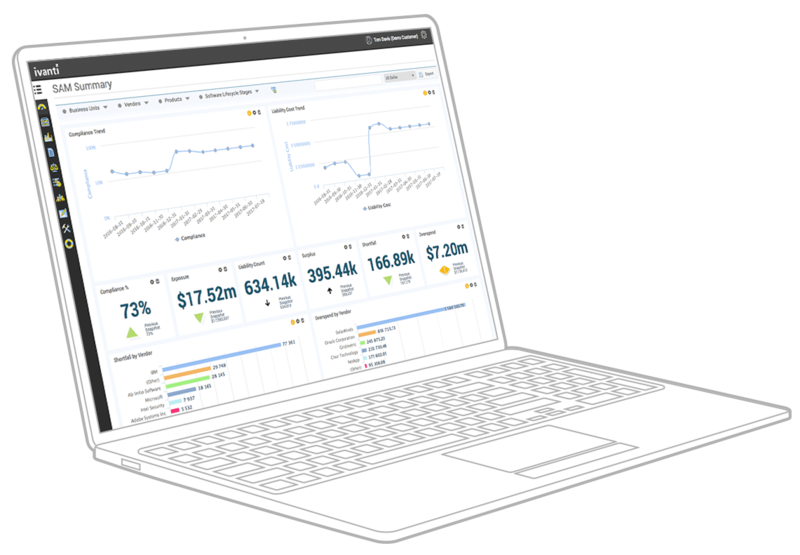 License Optimizer delivers technology and expertise to help you optimize your IT assets and to reduce costs proactively. Plus, you gain access to detailed cost/benefit analysis to support effective decision making. Stop working in spreadsheets. Import, inventory, and track your hardware and software assets automatically with License Optimizer. Reclaim unused software licenses for redeployment. Gain accurate data that gives you an advantage when negotiating with vendors. Get product-specific recommendations to manage your IT investments. Curb overspend and reduce financial risk. For vendors like IBM, Oracle, Citrix, and more. Monitor software usage and license compliance with asset management. Build scenarios for initiatives like cloud migration and implement the most successful plans. Harvest unused software licenses automatically to reduce IT spend. Finally, a solution that helps you avoid the risks inherent in letting your hardware and software run rogue. Eliminate unused software licenses, drive immediate license savings, and convert your complex license data into an accurate effective-license position. We'd love to help you get the most of your software assets. We are here to answer any of your Software Asset Management questions. Ready to take the next step and optimize your software investments? Let's talk and find the best solution fit for your business requirements.